Dyna Resort - the perfect sojourn when you are out to answer the call of the wild. This is definitely one of the best places to put up in when you want to unravel the secrets of the charming, serene, beautiful, alluring and above all mysterious Kanha. Located at Khatia, it just a km away from the main gate of the Kanha National Park in Madhya Pradesh and is certain to gift you with a stay that will remain embedded in your memories forever. Enjoy a luxurious stay in the European styled cottages of Dyna Resort. The well appointed elegantly furnished rooms are very welcoming. They are well equipped with all the necessary modern amenities and come with attached spacious bathrooms. The International Resort Standard Specification has been strictly adhered to in case of internal spacing. The multi cuisine restaurant remains open from seven in the morning to half past ten at night. It has on offer a wide array of mouth watering dishes that are sure to satisfy any jaded palate. When you return hungry at the end of the day long tour in the wild, just savor these palatable dishes to gratify your hunger and you are sure to be pleased. The snacks served at the Coffee Shop of Dyna Wildlife Resort are no less delicious. Get into an intimate conversation with family and friends and relish the snacks with a cup of hot steaming coffee. Take delight in these simple pleasures of life, they go on to become moments you will recollect with fondness for a lifetime. 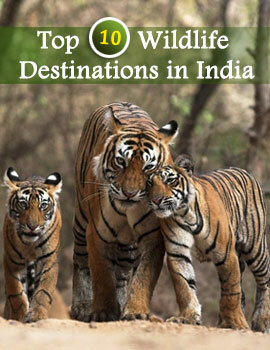 Jungle Safaris under the guidance of our Wildlife Experts are terrific experiences. Slide shows on wildlife are also screened much to the joy and entertainment of all wildlife enthusiasts. If the weather does not betray, tribal dances shows are put up at Dyna Resort, Kanha to make your evenings thoroughly enjoyable. With a team of ever courteous staff committed to giving you a taste of quintessential Indian hospitality, you are sure not only to enjoy a pleasurable stay but also to carry back home a small part of Kanha in the innermost recesses of your heart when you return.